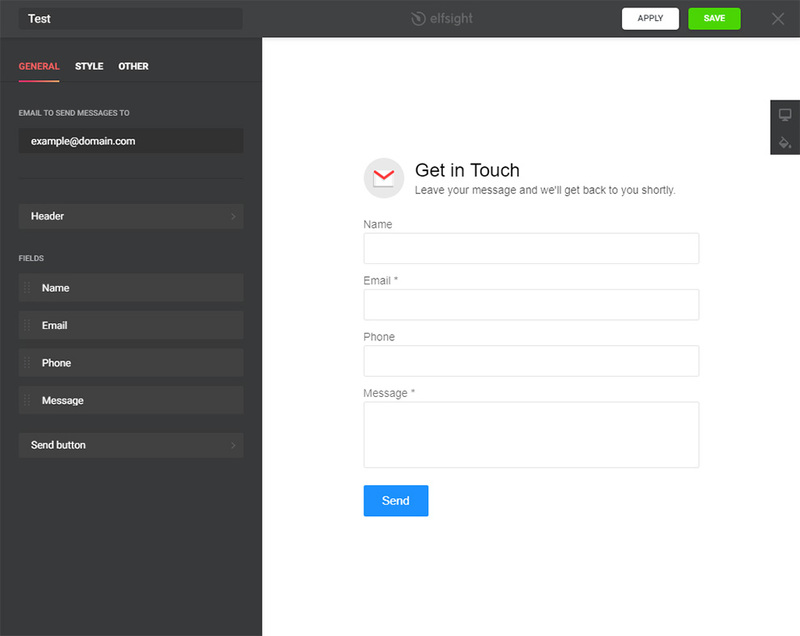 Elfsight Contact Form – is the easiest in fine-tuning and setup widget to create message, feedback and any other forms without experience in programming. BONUS: Test your contact form right now! 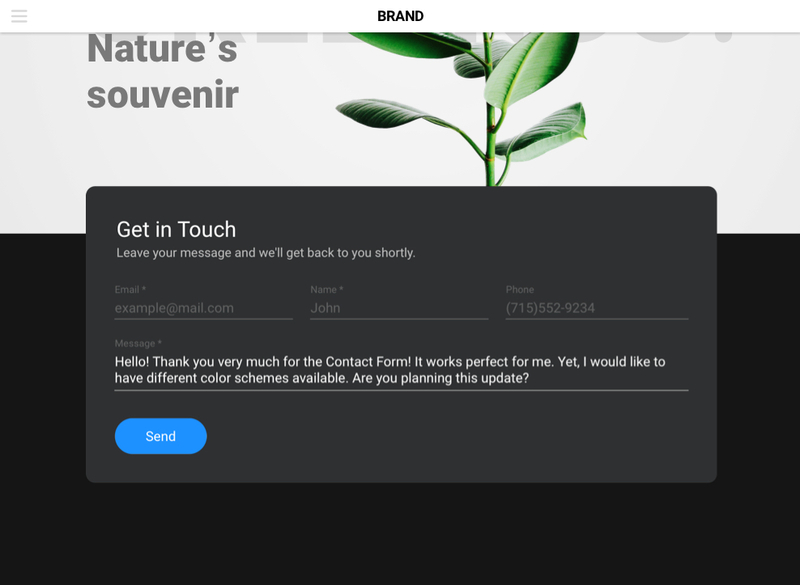 If you need a comprehensive and functional contact form to receive higher responses from users and increase effectiveness of your page, then our module is the optimum variant for you. Stay in touch with your clients 24/7, receiving their feedback on your email and grow leads for your business! Installation of our module is extremely easy and intuitive; it will take you only a couple of minutes. Follow all steps listed below to get a module. Follow this link (Live Editor) to create a widget. Choose the pattern and display parameters to create the widget that will fit your website in the best way. Or learn more on main page. 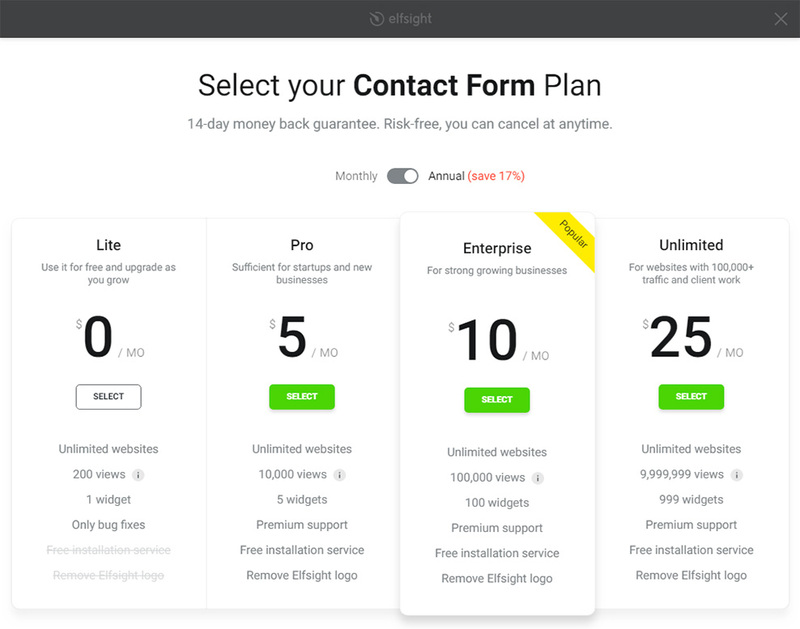 After your widget is ready, decide on your subscription plan. We have free and payable plans to suit any needs. The last stage in installing our widget is to take the script. Enter admin panel by logging into the system. Go to «Content» tab, where all editable pages are available. 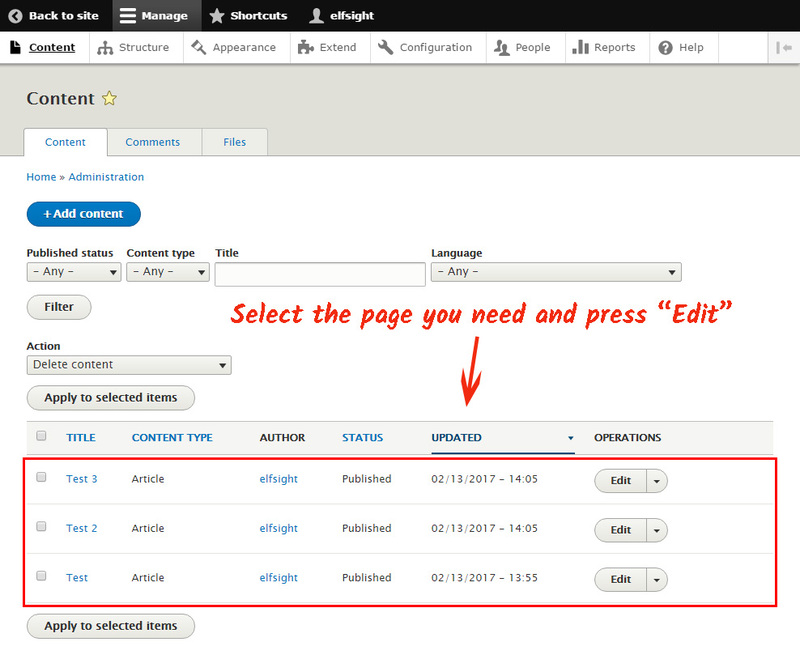 Choose the page where the widget will be placed and press «Edit». 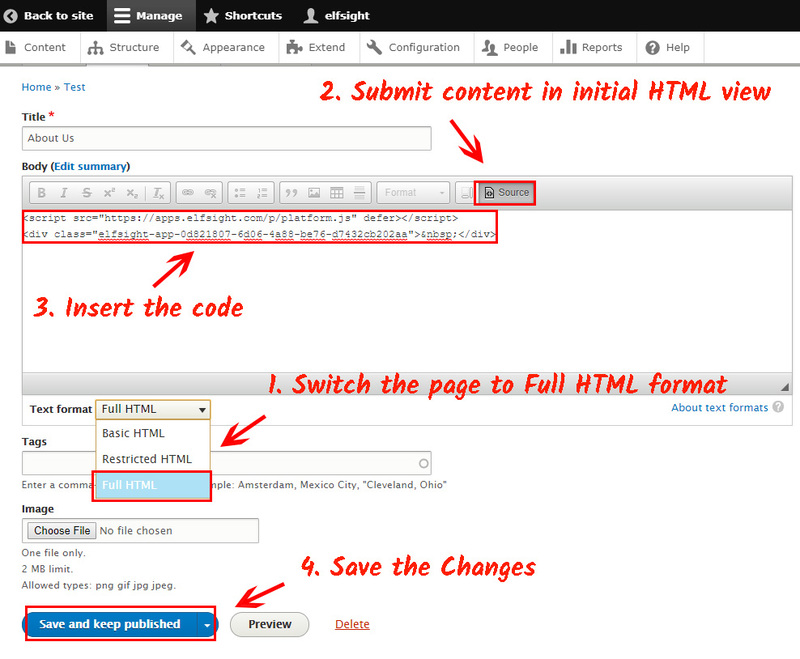 Shift the page and content to HTML format. Paste widget code and save the changes by pressing «Save and keep Published». Now go to your website and check it. 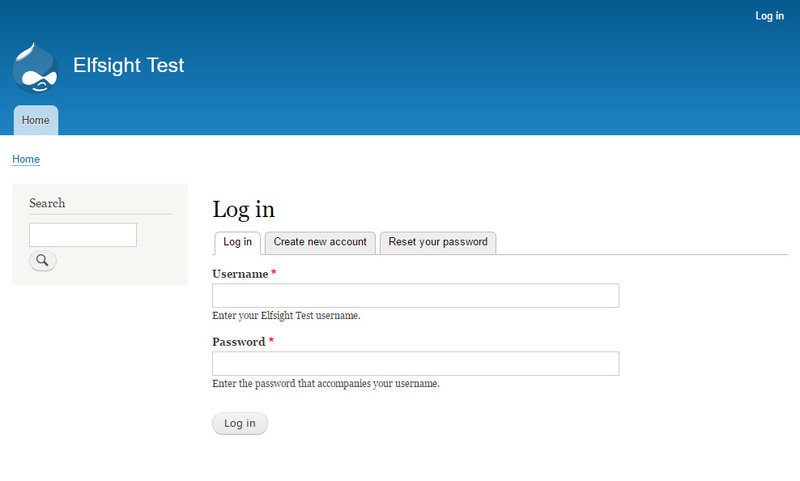 After showing the module on your website, it’s necessary to set all the customization of the form at Elfsight Apps. Change of field names, change of template or mode of view and all other adjustments, made in the module editor, will be immediately saved on website. In addition, in your personal profile you can check more Drupal modules and place them on your resource for free. Test your Contact Form right now!